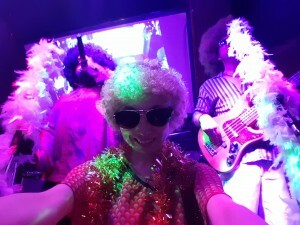 It was such a great funky friday last night with DISCO FEVER! I’ve been a huge fan of the band for several years!! I was dancing so crazy with my afro!! Please check the funky movies on my instagram! Also, I’m soooo happy they played my disco-licious song HAPPY WEEKEND!! ← 2016年度の始まり！My Official HP has just opened!